Are Russian Girls Willing to Leave Their Country? It will not be fair to claim that all Russian girls want to leave their country. Every girl is special with her own unique destiny, a way of life, and desires. Not all want to leave, but surely each of them wants to be happy. Those who cannot experience this feeling within their country try to find it elsewhere. So, Russian women who want to try their luck and find happiness abroad are ready to leave their country. Some people will think that it is stupid to leave the family for some man, but another part prompts that it is a wonderful opportunity to start life from scratch. Every coin has two sides. What challenges can the Russian ladies face leaving the country? 1. Lack of language skills. English is a foreign language in the majority of Russian schools but a command of English students get leaves much to be desired. The best they can get is general knowledge which is easily forgotten without a permanent speaking practice. So, there occur many situations where something can be misunderstood. There are also many words that are not translated into Russian and it is impossible to find them in a dictionary. In addition to this, ignorance of a foreign language creates a huge number of problems with the papers: filling out different forms, papers, signing contracts, paying bills, etc. Without language proficiency, it is very difficult to make friends and new acquaintances. The language barrier limits girls from Russia in communication, they cannot always support the conversation on different topics. But even if a foreign language is at the top level and a girl has many new friends, she will always switch to her native language. 3. Feeling of being a stranger. Many women feel like strangers after immigration even if they have lived in the country for more than 5-10 years. Some have nostalgia for the past, others are accompanied by difficulties in adapting to a new society for almost a lifetime. It is also worth taking into account the views of different nations on the things that seem to be ordinary at the first sight. There are so different approaches to spending money, eating, resting and entertainment, an arrangement of welfare. For what reasons are the Russian girls ready to leave the country? 1. Being with her loved one. Russian girls are looking for the main key to being happy. It lies in creating a happy family with a beloved husband and healthy kids. Almost all the girls want to find their one and only who is aimed to have a strong relationship not less than a girl. And when they meet their Mr. Right, they try to do their best to make him happy and become a part of his world. 2. Strong desire for self-fulfillment. If you have ever met Russian women for dating, you already know that the big part of them are quite smart and well-educated. In their own country, they don’t have opportunities for self-development in the way they want. 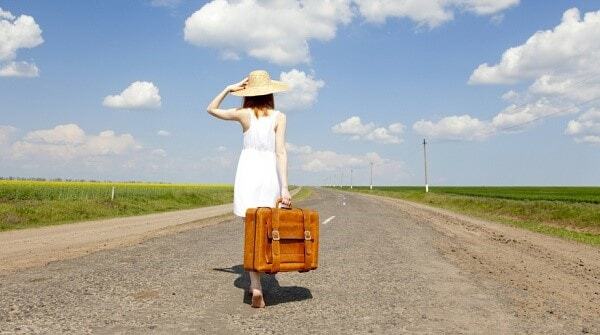 Moving to a new country can provide new opportunities and widen their horizons. A lot of people in general and Russian women, in particular, are not satisfied with outdated social structure in Russia that might not change. Low living standards, lack of social and political freedom, lack of new impressions and inability to travel leads to a kind of love for their future opportunities in the foreign country. Besides that, girls are eager to change their lifestyle and culture together with their inner personal attitudes. Moving to another country means discovering a new culture, meeting new people, traveling and getting some new knowledge – these points are important to feel alive and to move on. Besides, it’s a good way to improve the level of the foreign language or maybe to study a new one surrounded by native speakers. 5. Better future for their children. You know that Russian girls for dating are one of the best examples of a good mother and wife. And every good mother (it doesn’t matter if she has already children or just thinking about them) wants to have the best life conditions for her children because she values her family more than anything else. So, if it is necessary to relocate for the better future of her family, she will do that without any doubts and even a slight hesitation.